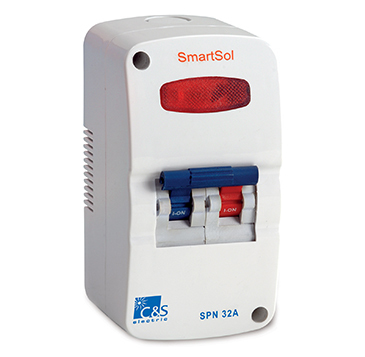 C&S Smartsol is a smart protection solution against overload & Short Circuit. Smart sol, available in 6A, 1 OA, 16A, 20A, 25A & 32A conforms to IS/IEC: 60898: Part 1: 2002. It is equipped with Brass terminal in both side and provided with Supply Indication system. Smart solution is available in SPN & DP with a Rated Short Circuit Capacity of 4.5kA. The product comes with IP20 protection rating.